Following in the footsteps of e-commerce giant Alibaba, JD.com will offer Russian food, cosmetics and jewelry to Chinese consumers. Experts believe there is a niche for Russian products in China. JD.com plans to sell Russian food, jewelry, cosmetics and other goods in China by the end of this year, the president of the Chinese e-commerce company’s international business group Victor Xu said this week. “We are negotiating with a number of interested Russian companies and manufacturers,” Xu said. The company’s managers also met Russian officials to discuss Sino-Russian trade, according to Xu. Russian billionaires Alisher Usmanov and Yuri Milner own about 9 percent of the shares of JD.com (through the DST Global fund). 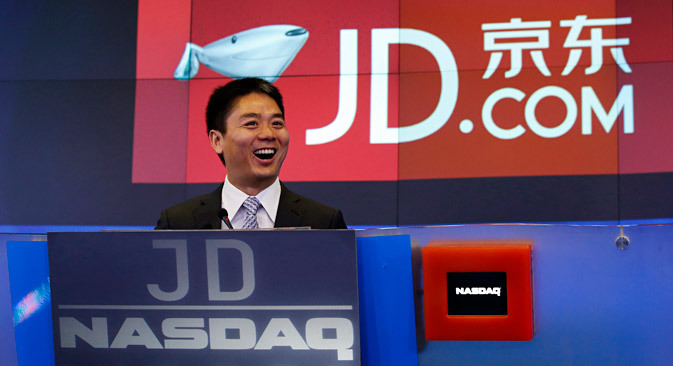 Over the last few years, they have invested $780 million in the JD.com. JD.com is following in the footsteps of Chinese e-commerce giant Alibaba Group, which has a tie-up with Russian retailer ABK network to sell Russian consumer goods, food products and cosmetics in China. Mark Zavadsky, Director of Business Development at AliExpress in Russia and the CIS, told Kommersant that there is a great interest in high-quality foreign products in China. "The Russian producers have the potential to occupy a niche between expensive European goods and cheap Chinese ones,” he said. According to China Customs, in 2014, imports from Russia to China grew by 4.9 percent to $41.6 billion. This is an abridged version of an article, first published in Russian by Kommersant.